The Congress party, wary of its MLAs shifting loyalties amidst horse-trading attempts by the BJP, even took them away to a luxury hotel in Bengaluru - the famous Eagleton Resort where the Gujarat Congress had also flown its MLAs in a same situation in 2017 - only to realise two of its MLAs, Anand Singh and Pratapgouda Patil, were missing from the flock. An all-out political war has erupted across Karnataka and other states after Governor Vajubhai Vala invited BS Yeddyurappa-led BJP to form the government in the southern state. The Congress party earlier had high hopes after it stitched ties with HD Kumaraswamy's Janata Dal (Secular) to claim majority. The post-poll alliance partners even submitted a list of 117 MLAs to the governor. The Congress party, wary of its MLAs shifting loyalties amidst horse-trading attempts by the BJP, even took them away to a luxury hotel in Bengaluru - the famous Eagleton Resort where the Gujarat Congress had also flown its MLAs in a same situation in 2017 - only to realise two of its MLAs, Anand Singh and Pratapgouda Patil, were missing from the flock. A third MLA is also believed to be missing from the hotel. BS Yeddyurappa, who was sworn-in as Karnataka Chief Minister on Thursday, said he'll not wait for the 15-day deadline to prove majority as he's keen to do it at the earliest. Here are all the details of how the political drama is unfolding in Karnataka. 10.33pm: Attorney General KK Venugopal has criticised the Congress-JD(S) combine in the Supreme Court for taking the political battle of Karnataka to the judicial arena, saying the proper forum for them to contest the BJP's claim was the floor of the House, reports PTI. 10.22pm: Congress party leader Ramalinga Reddy says after BS Yeddyurappa's swearing-in, the police security was withdrawn outside the Eagleton resort, and the BJP leaders came inside the resort and offered money to the MLAs. He also alleged that BJP leaders are constantly calling their MLAs and their families, reports ANI. 10.08pm: Who's franchise is set to win in 'war'nataka in Karnataka - Team Yeddyurappa or team Kumaraswamy? Take a look at the number game. 9.37pm: Amit Shah dares to give us sermons on democracy. 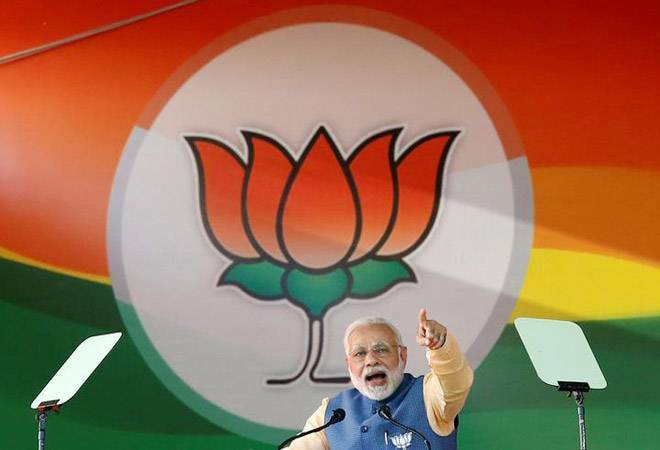 We challenge Prime Minister Narendra Modi and BJP chief Amit Shah that if you have the courage of conviction, we dare you to prove your majority on the floor of the House tomorrow itself and the truth will come and democracy will win as you will be decisively decimated and defeated," says Congress spokesperson Randeep Singh Surjewala, reported PTI. 9.24pm: The BJP can't use two rules for one game. BJP, Central government and their governors have been exposed in front of the nation, says Congress leader Ghulam Nabi Azad. 9.08pm: The Congress and JD(S) are planning to shift all their MLAs to Kochi in Kerala. Leaders from both the parties having a meeting at the Eagleton resort in Karnataka to decide whether they should wait till the SC hearing or shift the MLAs to Kerala. 8.45pm: The Congress party would observe 'Save Democracy Day' on Friday against against the swearing-in of BS Yeddyurappa. The AICC has called for protests all over the country against the "partial and authoritarian act" of the governor. 8.32pm: Former BJP leader Yashwant Sinha says Karnataka Governor Vajubhai Vala inviting the BJP to form the government in the state has led to a situation wherein MLAs will be auctioned under the Indian Political League, the way cricketers are auctioned in the Indian Premier League. 8.25pm: On taking all party MLAs to a Bengaluru resort, JD(S) leader HD Kumaraswamy says it is their responsibility to provide security to all their MLAs. "I'm really surprised to see how Yeddyurappa is behaving. After taking oath he has already transferred four IPS officers. BJP's movement is laughable. All 38 MLAs are with me" says the leader. 8.11: The Congress party seeks an appointment with Goa Governor Mridula Sinha to stake claim to power and form the government in the state. RJD leader Tejashwi Yadav has also decided to meet Bihar Governor Satya Pal Malik to stake claim. The Congress party says the party would stake claim in all the three states, including Karnataka. 8.03pm: Whatever BJP's done in Karnataka is in accordance with rule book. Congress is ill informed and as a result is making these funny claims, says Prakash Javadekar. 7.56pm: Congress leader DK Shivakumar says his party is keeping all options open and could even knock on President's door. "We will seek time from the President," Shivakumar told CNN-News18. 7.51pm: Earlier in the day, BJP chief Amit Shah said it was Congress, which murdered the democracy after it made an opportunist offer to JD(S) to form the post-poll alliance, not his party. The 'Murder of Democracy' happens the minute a desperate Congress made an 'opportunist' offer to the JD(S), not for Karnataka's welfare but for their petty political gains. Shameful! 7.40pm: The road ahead for formation of a government in Karnataka is an immediate floor test, says senior Supreme Court advocate Raju Ramachandran. 7.30: It is a hung assembly, no party has got a clear mandate to govern Karnataka, Congress leader Sachin Pilot tells India Today. 7.26pm: The mandate of Karnataka is clear, hence the Governor asked the BJP to form the government, says BJP spokesperson Gaurav Bhatia. 7pm: The Congress party, through its Twitter handle, says Governor Vala, in his quest to prove his loyalty to the Sangh Brotherhood, has brought disrepute and infamy to the office of the governor. 6.30pm: "This is not the system. Irrespective of whose govt it is, it is their duty to provide protection, provide security to the elected representatives," says KH Muniyappa of Congress on security withdrawn from outside Eagleton Resort. 5pm: Congress says BS Yeddyurappa will turn out to be a "one-day chief minister" as he lacks majority and challenged Prime Minister Narendra Modi and BJP chief Amit Shah to prove the numbers by tomorrow. 4.30pm: The Congress accuses Karnataka Governor Vajubhai Vala of encountering Constitution twice, first by inviting the BJP to form government yesterday and allowing Yeddyurappa to take oath today, while a matter in this connection is set to be heard by the Supreme Court tomorrow, reported PTI. 4pm: Congress' chief spokesperson Randeep Singh Surjewala says his party will protest the Governor's decision tomorrow by holding dharnas across the country. "How come the Governor invited them to form government when the BJP does not have numbers to do so the Governor has encountered the Constitution twice he has murdered democracy," he said.